Rare WWI and modelling titles! Vintage Warbirds No.9, published in 1998, is a rare compilation of unique photos showcasing genuine WWI warplanes in their natural element!120 images of classic types in the air-fighters, two-seaters and bombers from various nations.Slightly worn in places but complete and signed by the author. 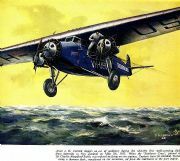 Peter Gray's classic 1965 Profile on the Pfalz D.III and D.IIIa was another popular title in this long-running series. Some slight rust spots on centre pages from wire binding but otherwise near mint condition. 12 pages plus colour plates. Published in 1985,the first in the acclaimed Vintage Warbirds series by Arms and Armour. Softback with 64 pages and over 115 great images of RFC aeroplanes. Written by Ray Rimell,this is a great archive collection. Worn and slightly faded edition but complete and signed by the author. Masterly compendium of the scratchbuilders' art edited by John Alcorn and with submissions from world leading practitioners. Glorious, richly illustrated hardback book from Schiffer with over 165 pages. Comes with original dust jacket-as new. Signed copy of Ray Rimell's 1990-published compendium of genuine extant WWI aeroplanes in the World's museums and private collections. Over 250 photos plus exhaustive tabular data with 100 examples described in detail. With original dust jacket and in very good condition. Original 1993 first edition . This classic weighty hardback of over 570 pages contains 925 photos,100 scale plans and 24 pages of colour profiles.The most comprehensive account of Austro-Hungarian WWI aeroplanes ever published. One copy with slightly faded and creased dust jacket but complete. Postage includes insurance and tracking worldwide! Second edition of this popular Arms and Armour illustrated softback.64 pages with over 116 fabulous archive photos sourced from all over the world. This worn copy was pre-owned by the late Harry Woodman and contains a dedication by the author. Published in 1965 and written by Jack Bruce this is one of the most popular of the WWI Profiles with over 20 photos and colour plates on the inner covers. Some wear,creases and staple marks but complete in every way. Vintage Warbirds No.7 published in 1987. 64 pages full of rare images:Zeppelins, Gotha bombers, British Home Defence fighters and more.Good condition and signed by author Ray Rimell. 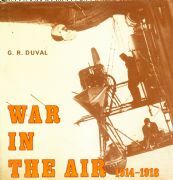 Published by Cassell in in 1999, this 192 page hardback is a great all-in-one resource for the first air war. Good condition with original dust jacket slightly creased. The classic Putnam book by Peter Lewis, third edition published in 1980.Excellent condition with original dust jacket. THE famous 'Power Crisis' edition! Faded copy but complete-includes Ray Rimell's Sopwith Triplane feature in the RAF Museum series!One copy only...signed by the editor. WITH Avro 504K scale plans ,photo data and model -copy signed by editor Ray Rimell. CLASSIC issue with special DH9 features by C Rupert Moore, Maurice Brett and an Airfix kit conversion by editor Ray Rimell. One signed copy only. Vol. 7, No.81. A near mint copy of this mid- 1976 issue with the usual mix of great modelling material-including a part-scratchbuilt 1:72 scale BE2c using Airfix DH4 parts by Ray Rimell. SLIGHTLY creased cover but this rare edition has plenty for the WWI aero enthusiast! HIGHLIGHT of this issue-Fokker D.VII plans feature-slightly creased covers but complete.